In 2002, David Weissman's and Bill Weber's documentary The Cockettes brought the eponymous 1970s San Francisco glitter-rock drag theatrical troupe back into the spotlight. In this colorful account, Tent, one of the ensemble's few "real women," relives the glory days. Fleeing Detroit for San Francisco in 1969, Tent found some kindred souls, most of them drug-addled drag queens and all of them young and ambitious. The Cockettes were born soon after and performed in midnight musical extravaganzas at the Palace, a seedy Chinatown movie theater. Tent locates the Cockettes' origins in show biz and the avant-garde; one pioneering Cockette, Hibiscus (né George Harris Jr.), came from a family with deep roots in New York theater; another, Link Martin, had been a protégé of poet Helen Adam and the lover of Samuel R. Delany. In the background lurk the East Coast shadows of Andy Warhol's Factory and Charles Ludlam's Theater of the Ridiculous. In their prime, the Cockettes brought a masculinist energy to drag theater (they speckled their beards with glitter) and produced two dozen vaudeville pageants and several films, but drugs, internal rivalry and a New York performance debacle ended the Cockettes' reign in the fall of 1972. With earthy humor, Tent deftly juggles a huge cast of characters while providing a nostalgic trip through San Francisco's gender-bending heyday. The radical politics, sexual rebellion, and theatrical extravagance of a spontaneously combusting, gender-bending San Francisco troupe, remembered here by one of its founding members. 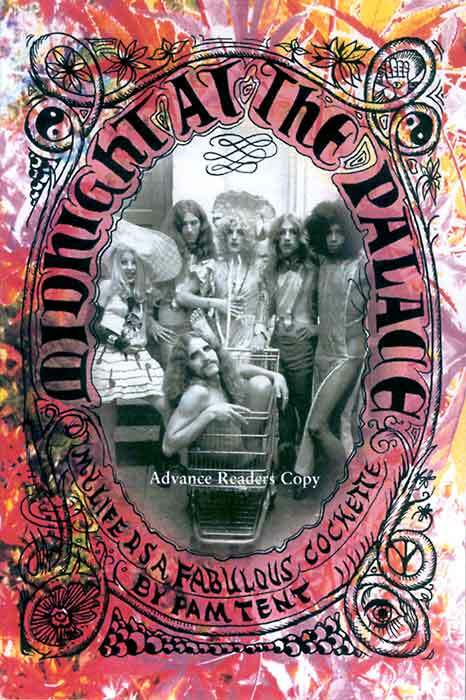 The Cockettes high-stepped themselves into history with a flamboyant dance routine in drag and glitter on New Year's Eve 1970 at the Palace Theater in North Beach, California. They were lavish and excessive, part of an era that commingled the serious and the puckish. The Cockettes had a thing or two to say about gender politics and the sexual orientation of society, but they specialized in high camp; their capricious autonomy and jubilant celebration of life were unfettered by, well, almost anything. Tent taps the collective memories of those from the troupe who remain alive and willing to talk, weaving it all together with impressive thoroughness. Into a period of merely 30 months, she packs in an amazing number of people, drugs, happenings, and relationships. Sharp and still very much her own person, the author will draw on a little astrology to explain someone's behavior, happily defend the players' antics, and just as happily berate the morons and deadbeats who travestied the creative, subversive energy of the time. She carefully describes the Cockettes' free-style theater, its parodies of romance and success, the fun and absurdity of its political incorrectness. She also sensitively explores the nuances of group dynamics and the company's break-up: one faction wanted the routines to get more polished and artful; another, led by the force-of-nature Hibiscus, "wanted nothing more than to live as a family, staging shows simply to amuse each other." Tent wound up in the Detroit General Hospital psychiatricward, but lived to tell this strange tale. She is now an accountant in the Bay Area. Tent's vivid, total-recall memoir gives a touch of permanency to a band that played hard, got dirty, lived fast, and died at two-and-a-half.